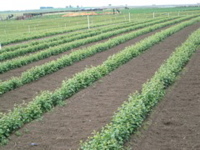 Cameron Nursery grows 95% or more of it's own apple rootstocks in well established, certified layer beds. 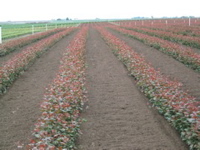 We purchase cherry rootstocks from only the most reputable sources. (See individual rootstock descriptions below.) After digging, we grade and store roots for sale or use in bench grafts or other nursery products. 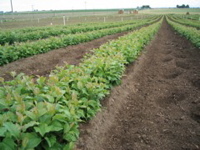 Cameron nursery grades roots into 3 grades and 6 sizes from 1/8" to 7/16". Sorting into these categories allows us to better match the needs of our products and customers.